I must confess that I don’t really like hospitals—even though I serve on a team that focuses on hospital ministry. Although I’ve visited several church members and friends in hospitals, I never enjoy being there, and I don’t stay long. Maybe it’s the smell of disinfectant; I’m not sure. Hospitals just make me feel uncomfortable. But an interesting thing happens whenever a loved one gets sick or injured. I forget my distaste for hospitals, and I happily enter in to spend time with those I care about. I’ve also needed hospital care multiple times, and my aversion to them hasn’t prevented me from utilizing their services. What’s this got to do with missions? 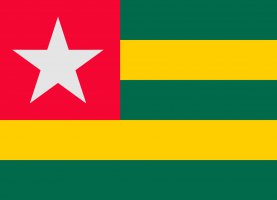 Just recently, I was admitted to our local ABWE hospital in Tsiko, Togo, which is located about 40 minutes north my home in Kpalimé. I was very sick and needed IV fluids and some strong antibiotics. Having lived in West Africa for about six years as both an MK and an adult missionary, I’ve been treated numerous times and admitted at least twice. Hospital workers have helped me through lots of medical problems, from amoebiasis to rotator cuff impingement. I count it no small personal victory have avoided malaria (so far). My wife and all of our kids have all been treated at the mission hospital in Togo. One of our most frightening experiences was when our daughter Alethia, born at Hôpital Baptiste Biblique (Baptist Bible Hospital) in Tsiko, and was again hospitalized for several nights to undergo malaria treatment at only six weeks old. During all those times, it was a great comfort to us to know that God had provided highly skilled hospital and clinic staff to take care of us. I knew that everyone—the doctors, PA’s, nurses, nurses’ assistants, lab technicians, pharmacy techs, receptionists, chaplains, etc.—all genuinely cared about me and my family. They weren’t just doing a job and accomplishing tasks; they really wanted us to get better, and I could sense it. This deep-seated feeling that people care—that’s what makes mission hospitals so effective. Statistical data is one thing—in 2018, 18,496 patients were treated at our small clinic and hospital in Tsiko in 2018—but what’s better than numbers is knowing that those patients and family members sense the genuine compassion of the staff and missionaries attending to their physical and spiritual needs. This establishes a powerful opportunity to proclaim the good news of the Lord Jesus. Every patient in our mission hospitals has the chance to hear the gospel, and our staff prays both for and with each patient and their family. One of my favorite stories from the hospital was about a 10-year-old boy and his family. He was badly burned, and he looked as though he would die, not only from the burns but from the resulting infections. Missionaries from the hospital and the local Christian school were able to give the gospel repeatedly to the boy and his family during the long recovery process. Eventually, after speaking with one of the hospital chaplains, the boy’s mother professed faith in Christ and became outspoken about her faith to her family members. Not only did the hospital staff provide great medical care to a child in a severe situation, but they were able to see a patient’s family member come to faith in Jesus. [P]eople from every tribe, language, and nation get sick and injured. This gives missionaries a strategic opportunity to share the gospel. Should missionaries engage in hospital ministry? We wish it weren’t so, but people from every tribe, language, and nation get sick and injured. This gives missionaries a strategic opportunity to share the gospel. 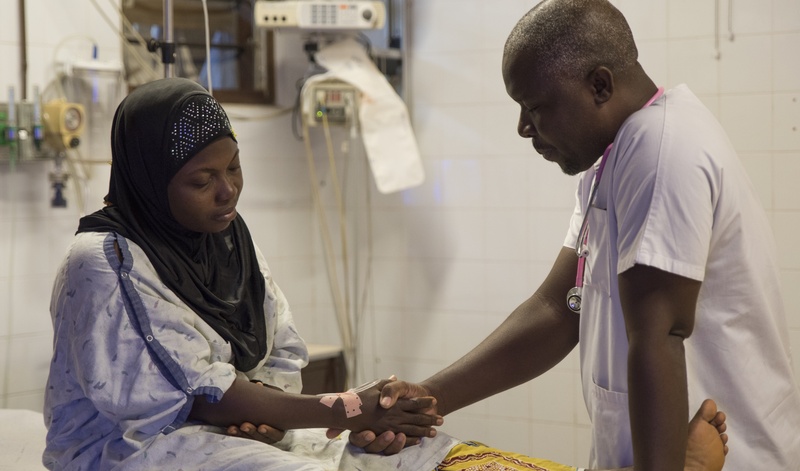 For us, individuals from every ethnic group in Togo and the surrounding countries—including unreached and unengaged people groups—come to our hospital for treatment. People who have no Christian friends, family members, or gospel witnesses in their lives will nevertheless come for healing and hear the good news of Jesus. Animists, Muslims, nominal Christians, others sense the compassion of our missionaries and staff who care for them, their spouses, children, parents, brothers, and sisters. It’s no wonder that when the doctors, nurses, chaplains and other staff tell them the gospel, they are often willing to listen. I can’t think of any other ministry that more effectively spreads the seed of the gospel to more people than a missionary hospital. In that sense, I really do like hospitals after all.